Every kitchen is imperfect without an ideal microwave oven. With plenty of useful reasons, the microwave is one of the best food heating inventions. They are the art of completing the job at the right time and the right temperature. Microwaves can do much more than we actually think, they offer an upgraded convenience and is never late. All thanks to the tight race of manufacturers and improvised technology, which resulted in the long list of advanced and affordable ovens. 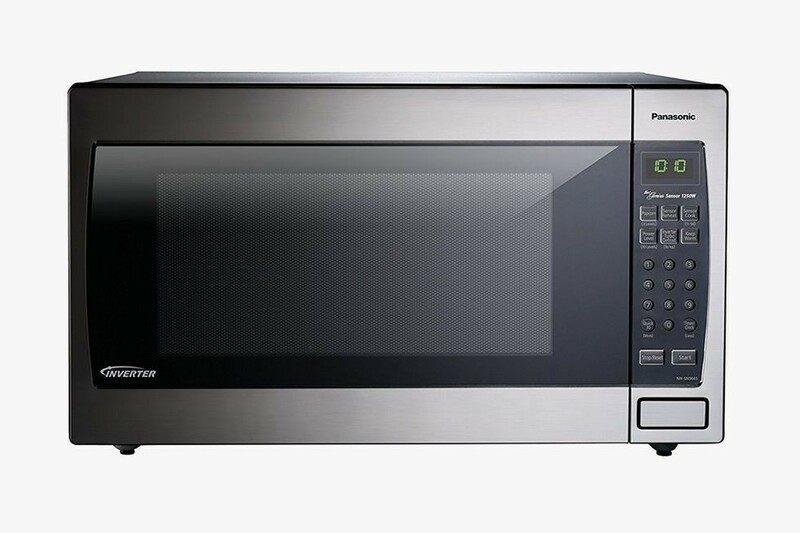 Availability of so many options makes it hard to pick the best microwave for your kitchen. But don’t worry!! 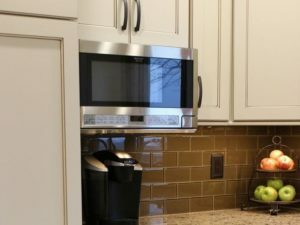 After reading this review, you will end up choosing the best built-in microwave for you.Have a look at our microwave buying guide to upgrade your kitchen. The GE JVM microwave has a 1.6 cubic foot capacity and stainless steel construction. It is attractive and ideal for those who are looking for a compact model. The microwave has been furnished with a two-speed venting system and has all the advanced functions with convenient cooking controls. The automatically programmed defrosting times and power levels make it a smart addition to your kitchen. Unfortunately, this one is quite difficult to install which bring it to the final position in the list of best built-in microwave. Sharp is one of the leading -brands when it comes to microwaves. R-1214 is one of their best-selling microwave ovens which is simple, sleek and modern. The control system is designed exceptionally in such a way that they can be used easily without getting any trouble. This model has a decent capacity of 1.5 cubic ft. And consumes 1100 watts of power. The microwave is of medium size and doesn’t have any significant flaw. However, its market price is quite expensive. 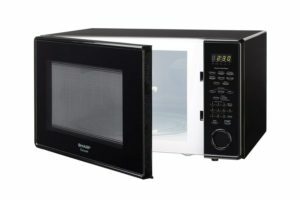 Therefore, it is not the suitable one for those who want to have the affordable microwave. This Panasonic microwave oven has a versatile design and can be used as a built-in or over the counter microwave. This one has a nice capacity of 1.2 cubic foot and has a stainless steel finish which compliments every surface. Unfortunately, lots of users evaluate this device has the loud operation. The cleaning is also effortless and has five push buttons for easy programming. 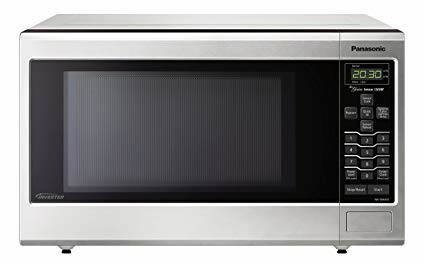 The microwave has an output of 1200 Watts and has ten different cooking power levels. Besides that, it also comes with the technology of inverter Turbo Defrost for quick defrosting. 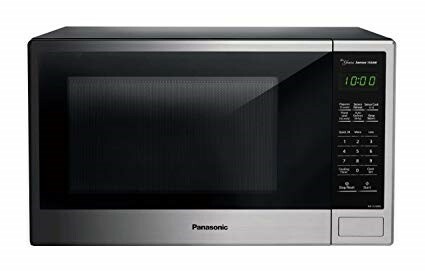 Another Panasonic in the list of microwaves . This is a great pick for those who are on a budget. This microwave manages to offer a decent capacity of 1.3 cubic foot. With large and easy to read buttons. The inexpensive model has a stainless steel front and a see-through window. It has a genius cooking sensing system that includes a one-touch button and sensor cook. The list of its advanced options also has a 7 preprogrammed menu, and a defrost option. Similar to the previous one, it has a quite loud noise. If you finding a microwave for your parents, this is all yours. Another blessing from Sharp, the easy to clean microwave with scratch resistant glass door can be built in or can be fit in on the countertop. This one has a large capacity of 1.8 cubic foot and consumes 1100 Watts of power. Many innovative features like auto defrost, One-Touch controls and precise cook sensor takes the convenient cooking to the next level. This one serves the best to those who have a tight budget and want to have a big size microwave. 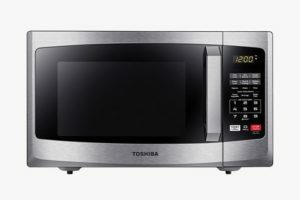 If you are a fan of Toshiba, this built-in microwave is what you want for your kitchen. This product is rated with 5/5 stars which brings it to this microwave buying list. With 10 different power settings and 0.9 cubic foot capacity, you can easily defrost and cook any kinds of food. From popcorn, pizza to vegetable or meat, all is done within the minutes. Although the producer offers this one to the consumers with the very suitable price, many users do not like it because of its size. However, if you have a small house or an apartment, this is the perfect one. 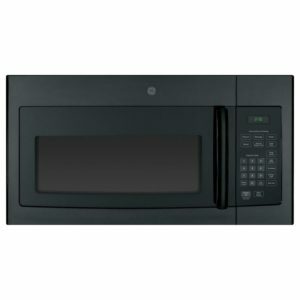 LG will be your next choice in top 10 best built-in microwave buying guide list. 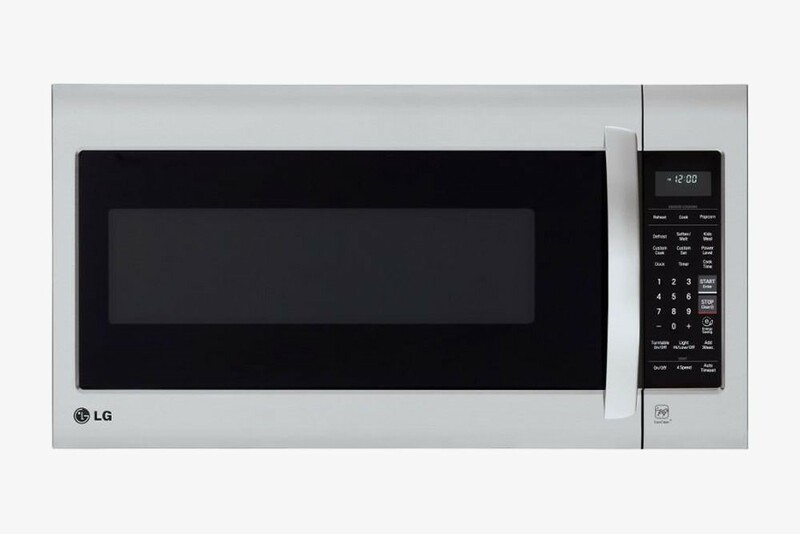 This LG is the perfect option for those who are looking for an over-the-range microwave. It consumes 1000 watt and very easy to use. Based on the reviews, this is one of the best microwaves from LG. It has a very large capacity up to 2.0 cubic foot which makes it become an ideal one for a large family. Similar to the premium microwaves, it has 10 cooking power level and preprogrammed option. Moreover, this device also has a light on the bottom in order to help the users what is cooking even though in the midnight. The king of the smartphone also appears here. Samsung MG11H2020CT comes with auto cook setting with 10 different power levels. With a 1.1 cubic foot and acceptable market price, this built-in and countertop microwave is the most suitable one for a medium family. This product has a ceramic enamel interior which makes an easy clean for the consumers. Besides that, it also helps prevent scratches. However, many users do not like it because some cooking times are quite long due to the wattage. This microwave oven can be used for both built-in and countertop. 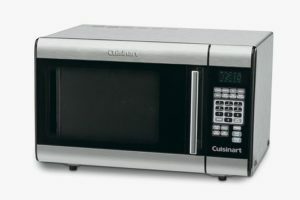 Cuisinart is the well-known brand about the home used products. The company has introduced the tens of useful and high-quality products to the users including this CMW-100. 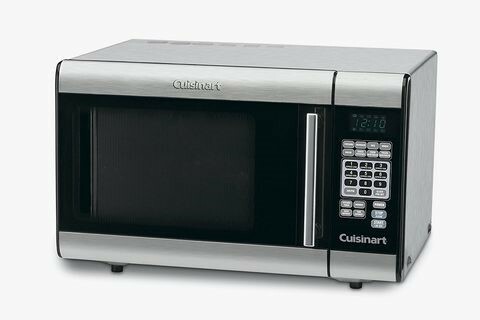 Although Cuisinart CMW-100 is evaluated with a difficult to clean, it comes to the consumers with an easy use and 25 pre-programmed cooking. If you are looking for the best one for your medium family, you should consider buying this one. The best one in this top 10 list is Panasonic NN-SN966S. Like it names, you can use it as the countertop or built-in microwave. This one has the inverter technology which prevents overheated edges and saves your electric expense. This is the main reason why it attracts lots of users come to it. This Panasonic works very nicely with 14 auto-cook option from the frozen meat and grilling chicken. If you have a large family and like cooking, this is your perfect one with a 2.2 cubic foot. 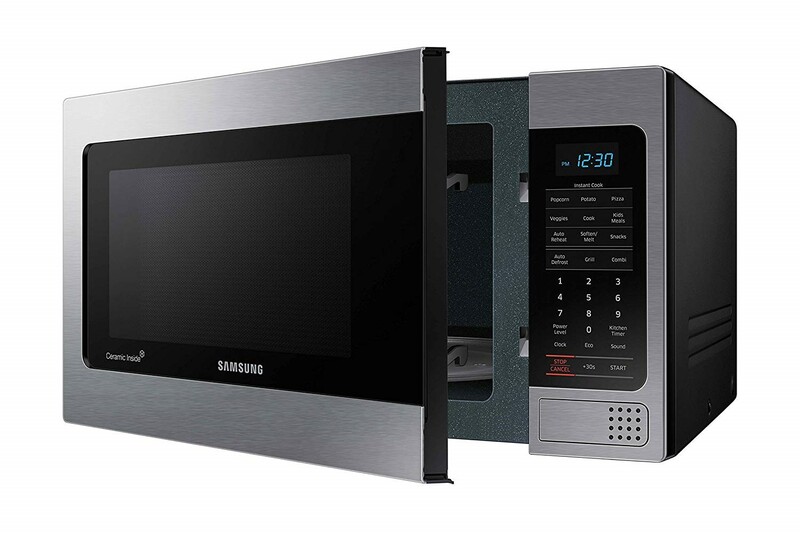 Besides that, it also has the one-touch sensor which helps you cook and reheat the foods in the minutes. These above products are the best microwaves in the market now. With this microwaves buying guide list, we hope you will bring your home a suitable and perfect one.